We visit four fashion-forward shop owners to learn what some of their favorite looks are for spring. HAIR AND MAKEUP BY: Liz Washer for ennis inc. Fashion aficionado Luis Nunez attended fashion school in New York before honing his skills under renowned stylist Beagy Zielinski—dressing models and stars for the runway and red carpet. He moved to the North Shore and opened his shop in 2015 on Main Street in Andover, offering fashion-forward pieces that are trendy yet practical.  Whether putting together a cutting-edge cocktail ensemble or a classic work look, Nunez’s intuitive eye makes him a rising star in the North Shore’s fashion scene. Lisa Cancelli grew up in an artistic environment. Her father was a professional jazz musican and her mother was in the visual arts. Cancelli herself studied fine art in college and sees a strong connection between art and fashion. “Line, form, proportion, texture, and color are inherent in both fashion and art,” she says. She finds inspiration for her fashion sensibilities in many artistic fields including architecture, modeling, and music. And all this translates into curating stylish looks for the well-dressed woman. Fashionista Amy Finegold opened dresscode in 2004 and hasn’t looked back since. In addition to offering both dressy and casual looks for the gal on the go from some of the country’s most popular designers, Finegold launched her own line two years ago called dresscode Anna Vo. She works with clients to dress them in looks that work for their individual lifestyles, and her team makes the shopping experience fun! MODEL: Erica Almeida for Maggie Inc.
Cheryl Chiuccarello began her foray into fashion at the age of 50 when she opened the consignment shop Hidden Treasures. After three years, she decided to forgo the resale business and focus on new items. Today Runway Couture offers upscale women’s clothing, featuring lines including Sarah Pacini, Hale Bob, Carla Mancini, Bryon Lars Beauty Mark, Hammitt Handbags, and HUDSON Jeans, among many others. Chiuccarello has a large fan base for the above-and-beyond service she and her staff bring to all their clients.